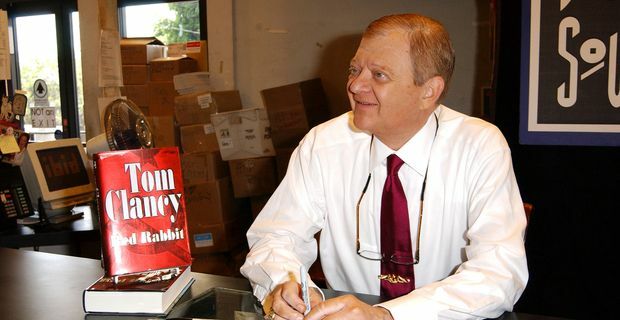 Tom Clancy, popular novelist with a penchant for Cold War potboilers, has died aged 66. His name is unlikely to be entered into the pantheon of great American literature, but he sold millions of books to Americans who liked his spectacular action thrillers predicated on a very black and white view of the world. Clancy's first big success, The Hunt For Red October, was endorsed in 1984 by then president Ronald Reagan. Reagan did not strike many as a great judge of literature, but Clancy's stuff was the sort of stuff he liked. As if out of gratitude, the politics in Clancy's subsequent 17 New York Times bestsellers embraced the sort of robust Republicanism of Reagan and his successors George Bush senior and junior. "President Reagan, despite all the nasty things people used to say about him, was actually a big reader," Clancy recounted. "He read the book during his tenure at the White House, and he liked it, and he talked it up and Time magazine found out and did an article about it, and I became a bestselling author." Hardly a stylist, Clancy's robust plots were suited to film adaptations. His fantasy figure CIA agent Jack Ryan has been played in movies by Alec Baldwin, Harrison Ford and Ben Affleck. The chatacter was always anachronistic and idealised, but Clancy was not the sort of novelist to depict a more realistic version of a CIA operative snooping on suspects' Facebook pages. One of his more outlandish plots, in Debt of Honor, where a Japanese terrorist crashes a plane into the Capitol, did seem eerily prescient of 9/11. Clancy dismissed that notion. "Osama bin Laden has never sent me any fan mail, and I haven't really sold that many books in Afghanistan," he said. "If I could predict the future, I'd be down on Wall Street."